Social media has changed rapidly in the past year, even more so than it has in previous years. From the uptick of influencer marketing to Instagram’s shift to algorithm based newsfeeds, social media has evolved to fit an entirely different consumer base. One of the more recent changes is the development of “stories”. Initially seen on apps like Snapchat, stories allow people and companies to connect in a different way than a typical social media post. Snapchat isn’t about capturing the traditional Kodak moment. It’s about communicating with the full range of human emotion—not just what appears to be pretty or perfect. Fast forward to 2017, and many popular apps have followed Snapchat’s lead, integrating story features into their products. Some of these apps have even surpassed Snapchat with story usage. Instagram, for example, has 50 million more users using their stories feature than Snapchat- and Instagram Stories just launched in August 2016. 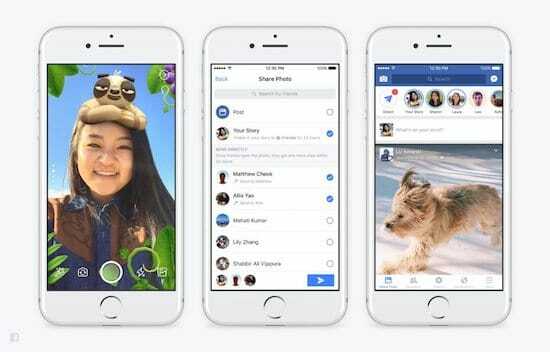 Even more recently, Facebook launched its own stories feature on March 28, 2017, giving consumers and businesses another stories option. With apps like Snapchat reaching 41% of 18-34 year-olds in a day, it makes sense that businesses are getting on board with social media stories. While many of these apps have similar features, each has slightly different audiences leaving businesses confused about which app to use. We took a look at two of the most popular apps with stories features, Instagram and Snapchat, to see how they compare for social media marketing. The best part is that since stories features are so similar, these insights can be applied to many other applications offering stories. As the pioneer of social media stories features, Snapchat became the default for many companies testing out this type of social media marketing. On Snapchat, a company can create an account and send photos or videos directly to consumers. More importantly, a company can add photos and videos to their “story” so that their “friends” (followers) on Snapchat can get a glimpse into the company or whatever they want to show. These photos and videos disappear after 24 hours, making the content seem more urgent for users to consume. Many companies are attracted to the idea that they can give consumers an inside look into their offices, processes, and meetings. They can interact more directly with consumers, and reach them more quickly- as well as track how many people viewed their story. Since stories don’t depend on likes or comments, Snapchat allows companies to see exactly who has seen which part of your story, and this can help marketers test and tailor additional content. Snapchat stories also give companies the power to draw or add text on top of their photos/videos, as well as use filters- whether it’s a timestamp or cat ears. Additionally, Snapchat boasts Bitmoji integration, which gives people and companies a more human-like digital identity. Businesses can also benefit from Snapchat’s geofilter feature on stories. The ability to create your own geofilters, which are filters made of logos/graphics that are available based on a specific location, allows brands to insert themselves into other people’s stories- and not just their own. From announcing product launches to increasing brand awareness, geofilters are a great addition to Snapchat stories for many marketers. However, one of the drawbacks of Snapchat is that it is inherently consumer based, and requires businesses to manage an entirely new platform. For larger companies, this may not be an issue. For smaller companies and startups, this can be difficult because smaller companies might not have the resources to run multiple social media accounts. Especially with stories, it’s important to constantly curate content- and you have to create your own, which takes up time and people. Therefore Snapchat often becomes a tossup between reaching many people, building up another portion of your brand identity, and cost. Snapchat has an audience favored by consumer-based businesses: younger people (18-34 year olds) rate Snapchat as their number one most important social media platform, with Instagram as a close second. Especially for businesses focusing on that age group, Snapchat is a great way to reach kids, teens, and young adults. However, over half of the users currently signing up for Snapchat are older than 25, and increasing in age range, so the app is gaining popularity across the board. In a survey about social media video ads, consumers ages 16-54 rated Snapchat stories ads as being 1.3x more effective than any other platform. The difference is that people on Snapchat aren’t necessarily expecting to interact with a brand, they’re looking to quickly connect with friends or more recently, with celebrities. So it can be a great surprise for young people to see a company on Snapchat. Many features seen on Snapchat stories are also available on Instagram stories. Launched in August 2016, Instagram stories have quickly surpassed Snapchat stories in terms of usage, with millions of Instagram users quickly adapting the feature. Instagram stories also allow drawing additions and stickers on stories but Instagram lacks a few features, like Snapchat’s geofilters. However, Instagram stories allow users to tag others, which helps companies collaborating with each other or with influencers. It’s just another way to communicate with fans on their terms. We know users love Snapchat, and since the Instagram experience is so similar it makes it a little easier for brands. They don’t have to develop a totally unique strategy. The idea that Instagram stories are simply a more instantaneous way to reach an already existing audience is extremely attractive to marketers. Since Instagram is typically seen as a business-friendlier social media platform than Snapchat and it has double the average monthly users, it makes sense that more businesses are on Instagram. Because of this, many businesses won’t find it much more difficult or time-consuming to use the stories feature on Instagram if they already have the account. Even better, the brand identity and expectations have already been set, and people are already liking pictures on the existing accounts- which can give companies an easy audience base for their stories, allowing them to focus on growth rather than building a social account from scratch. Often, the types of businesses found on Instagram are businesses that focus on visuals. Apparel companies, physical products, and travel-based business are just some of the more popular businesses on Instagram. Companies that focus on people do well on Instagram too, or companies that work with brand influencers. As far as audiences go, 55% of 18-29 year olds use Instagram, with the next largest demographic being 30-49 year olds at 28%. Just like Snapchat, younger people are on Instagram. However, Instagram definitely sees a wider and older age range, making it more applicable to young adults/adults. With Instagram, there is also a clear urban appeal. About 32% of adults using social media in urban areas are using Instagram. For the most part, this demographic breaks down into the most prevalent Instagram audience being female millennials living in cities. 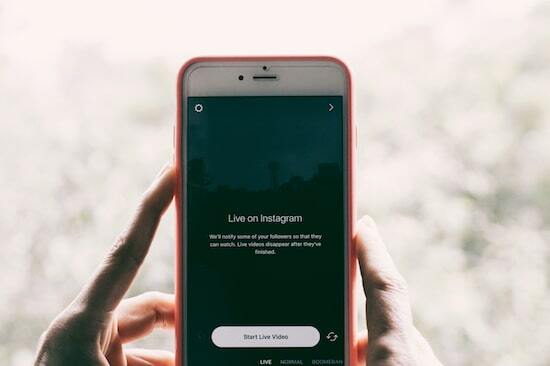 For businesses looking to add to their already-existing Instagram profile, Instagram stories allow an exciting sneak peek into what is currently being shown by the brand. With Instagram, the stories feature combines its power with the other features of Instagram and allows businesses to briefly break away from their Instagram aesthetic and show a more “real” side of their business. 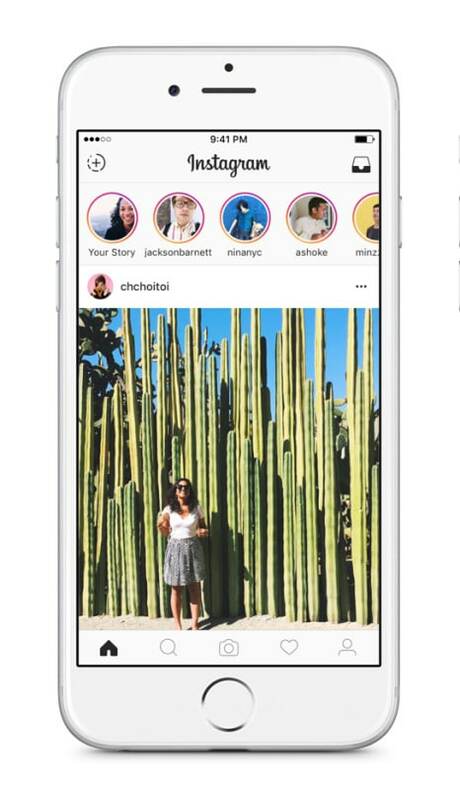 Even more recently, Facebook launched their own version of a stories feature. Found at the top of both the Facebook and Messenger apps, Facebook allows users to share glimpses into their days too. While the stories platform on Facebook is relatively new (it just launched late March), it might be worthwhile for companies to explore especially if they have an active audience on Facebook. With over 1.86 billion worldwide users active on Facebook, the stories feature may prove to reach even more people than it does on Instagram or Snapchat, especially since Facebook typically caters to an older demographic. Since the feature is relatively new, it’s too early to gauge popularity or effectiveness. Yet as history shows, the first people to adopt new technologies usually end up becoming the leaders on those platforms. Which app do you prefer for stories marketing for your business? Let us know in the comments below! Arielle Kimbarovsky is a writer, artist, and recent Broadway fan. When she's not writing an article, you can find Arielle drinking too much coffee or taking on casual projects like sending cameras into space.